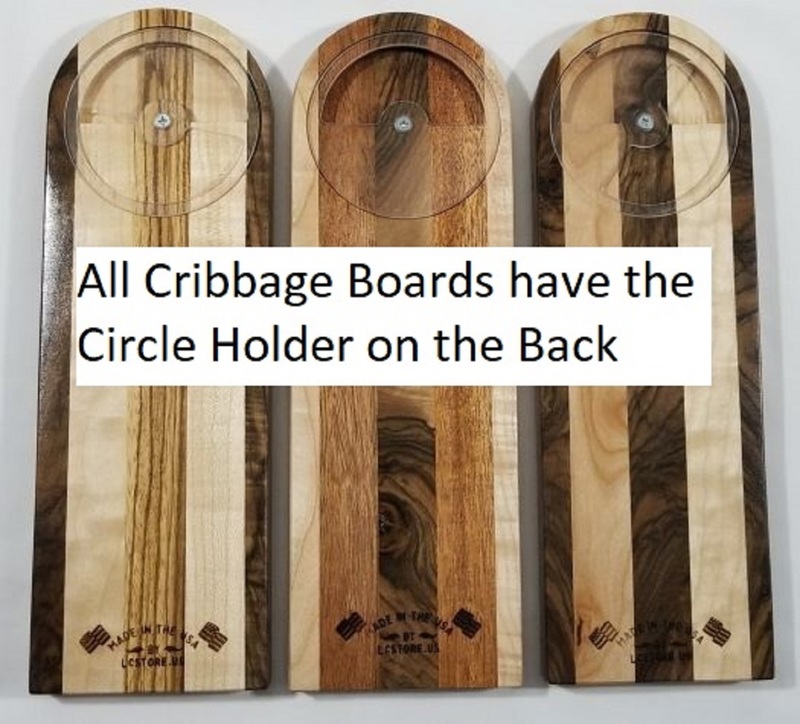 Cribbage is a wonderful game of chance and strategy. A perfect game for ages 8+. If you can count to 31 you can play this time honored game that has been a favorite since the 17th century. 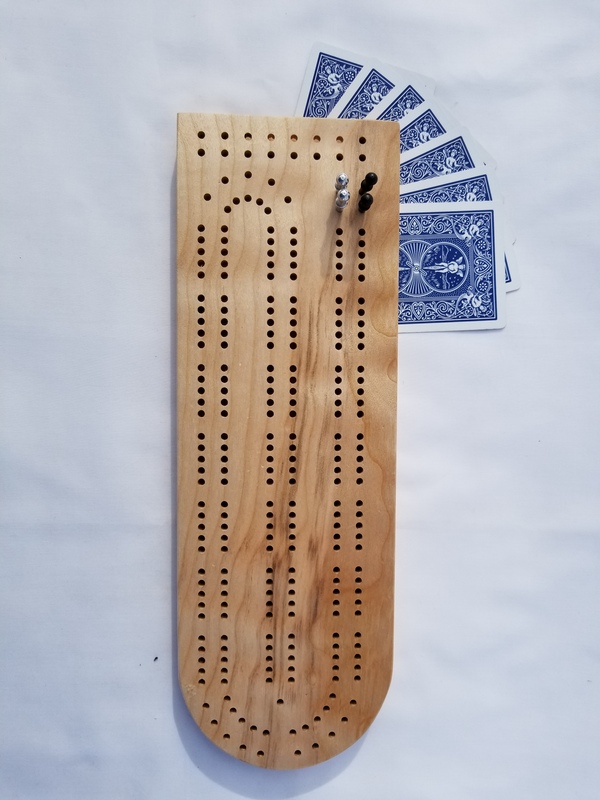 Our Standard 2-player Cribbage Board is in the classic fashion. Each is made out of solid maple and has unique figuring. 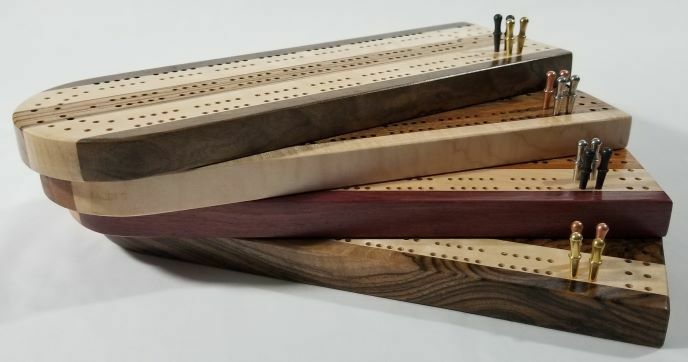 Each piece is coated with durable laquer and comes with metal pegs for many years of play.Underside pin holder keeps everything in one package.Lightweight and strong this is a great game to take on your travels. Each board comes with two sets of three metal pegs. Peg colors Vary. Sold with or without Set of Standard Playing Cards. Pick Board Style First, Add to Cart, Inside Cart add Cards.